2017 saw a strong representation of Square Meaters at the Sydney Royal purebred steer competition and for the first time, entry in the trade steer section. 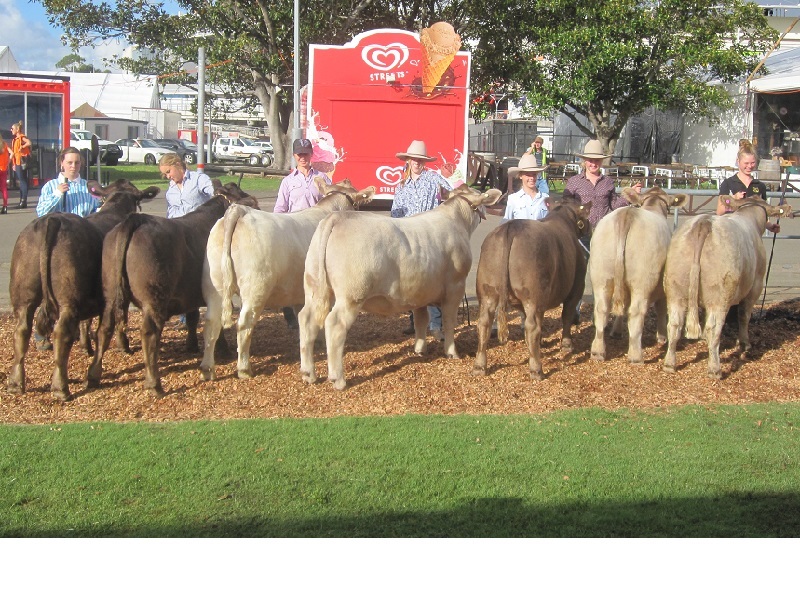 Weethalle, Rainbow, Silver Gully and Javid studs presented animals that were prepared and exhibited by Chevalier College, Braidwood Central School, Brisbane Waters Secondary College and St Johns College respectively. Congratulations to all involved for this fabulous effort. 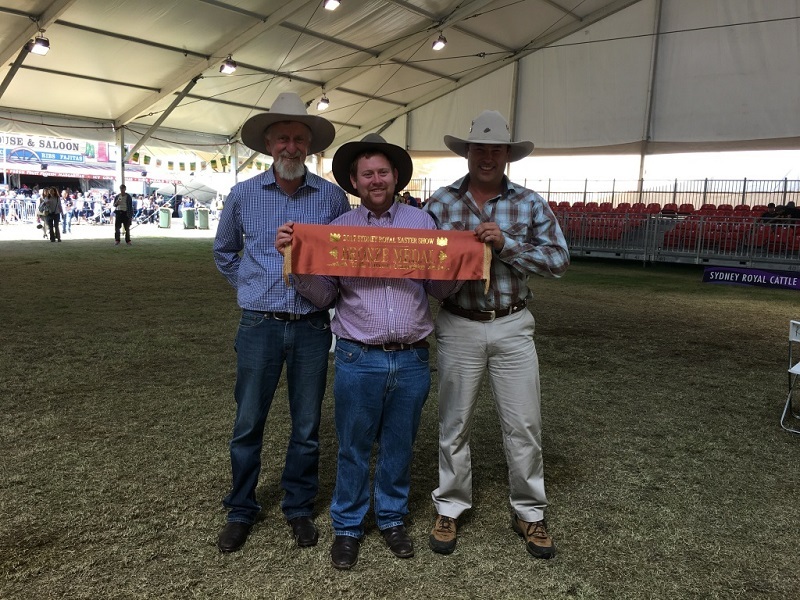 Ian Lamb (Namoi Square Meaters) presented two Square Meaters sired steers in the trade section. The announcement of the carcass results saw Weethalle, Rainbow, Javid and Namoi Square Meaters presented with bronze medals. In the purebred competition five points separated the seven Square Meaters Steers. In the Stan Hill Trophy Square Meaters placed 9th in the competition ultimately won by the Murray Grey breed. 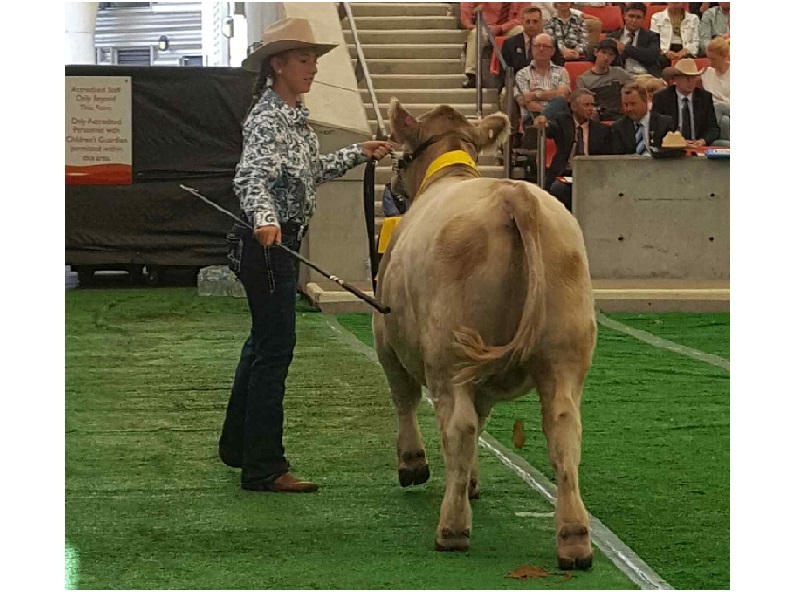 There is a collective aim by the breeders and exhibitors at this years show to maintain representation in the high profiled purebred and trade steer competitions at the Sydney Royal Agricultural Show.